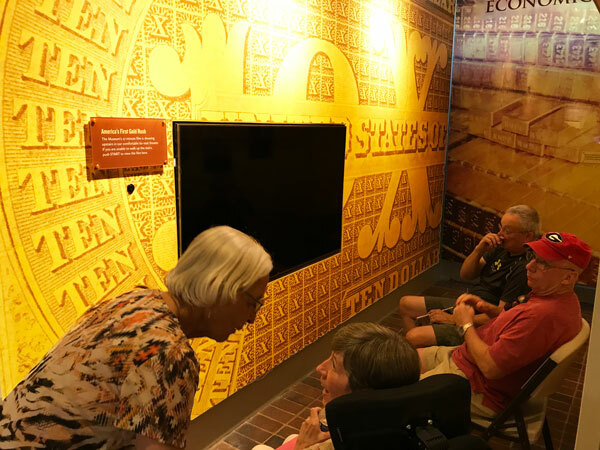 Supported by a local Friends chapter, the Dahlonega Gold Museum helps guests step back into Georgia's rich history. Dahlonega prospered with this mining activity, and a U.S. Branch Mint opened in 1838, coining more than $6 million in gold before closing in 1861. The museum's exhibits include a set of these coins, a nugget weighing more than five ounces, a large hydraulic cannon and nozzle used to blast soil from mountainsides, a film and gift shop. Visitors can also explore the courthouse features, including beautiful wooden chapel seats from 1889 and the judge's chambers. The town of Dahlonega is a popular destination for gold panning, shopping and sightseeing. Head to the Dahlonega Gold Museum this weekend and check out the brand new museum!